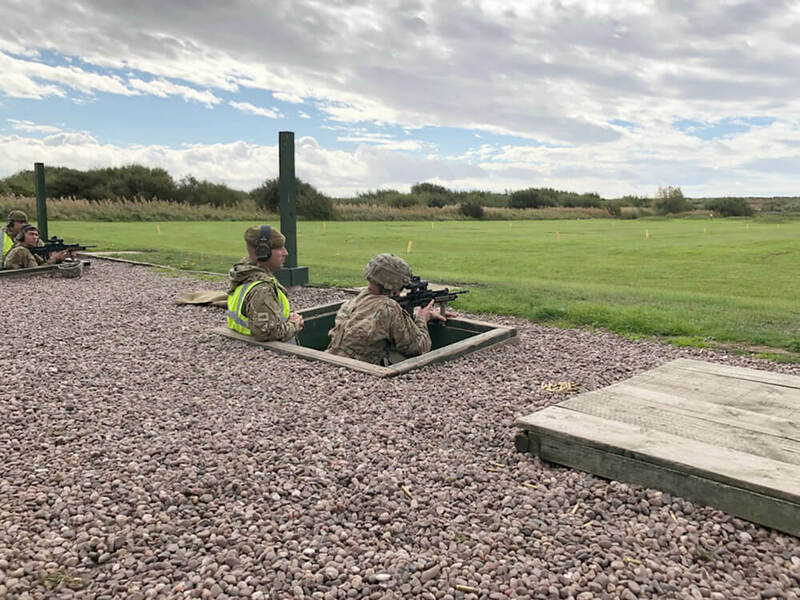 When four Soldiers from Oklahoma’s 45th Infantry Brigade Combat Team (IBCT) first met last fall, it was just days before they were to begin competing as a team in the Altcar Challenge, an international competition held at the Altcar Training Camp in Merseyside, England. To the group’s surprise, they gelled together quite well—well enough to bring home the gold. 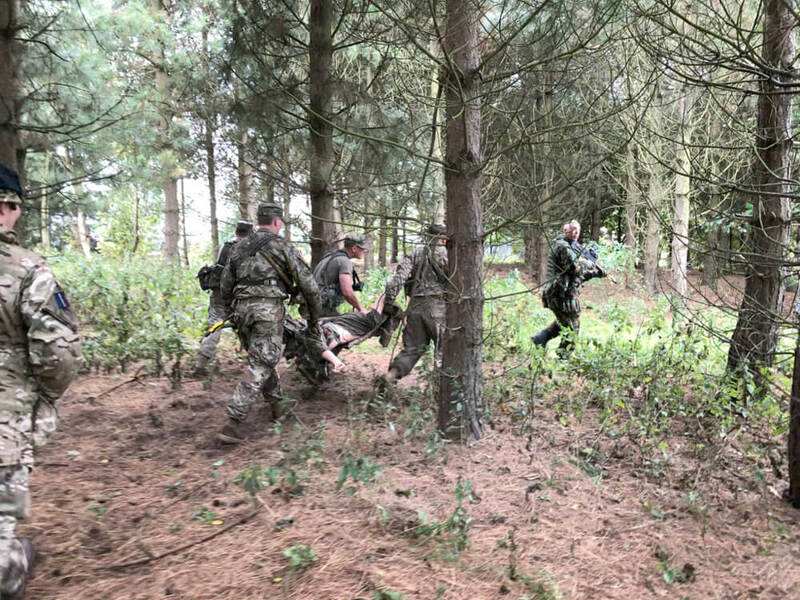 Hosted by the United Kingdom Reserve Forces Association (UKRFA), an organization dedicated to providing opportunities for education, personal development and international experiences to promote the efficiency of the reserve forces, the Altcar Challenge is a three-day, international competition designed to bring together reserve component soldiers from around the world and test them on a variety of advanced military skills. Oklahoma’s participating team was made up of SSG Jonathan Cody, CPL Kyle Foor, SPC Durham Chilcoat and SPC Brandon Widman. 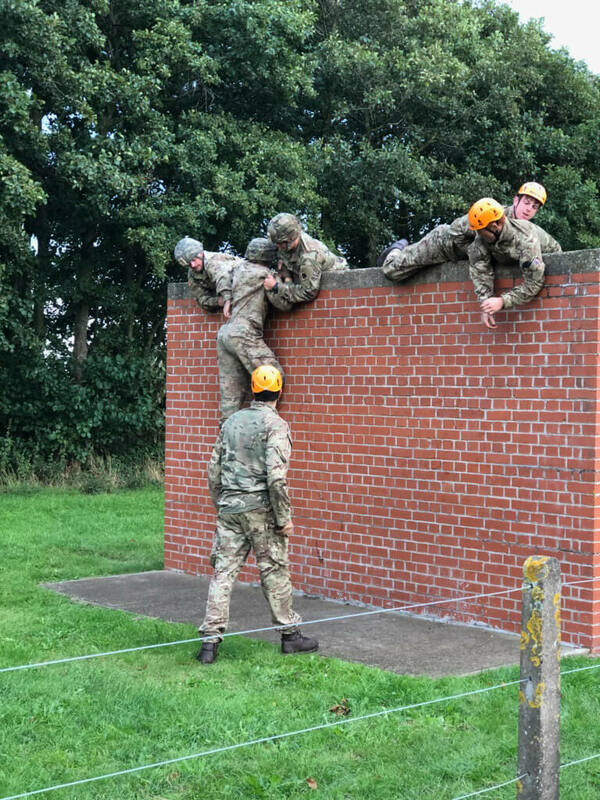 The Soldiers were chosen to compete based on their achievements as some the brigade’s top-performing Soldiers. 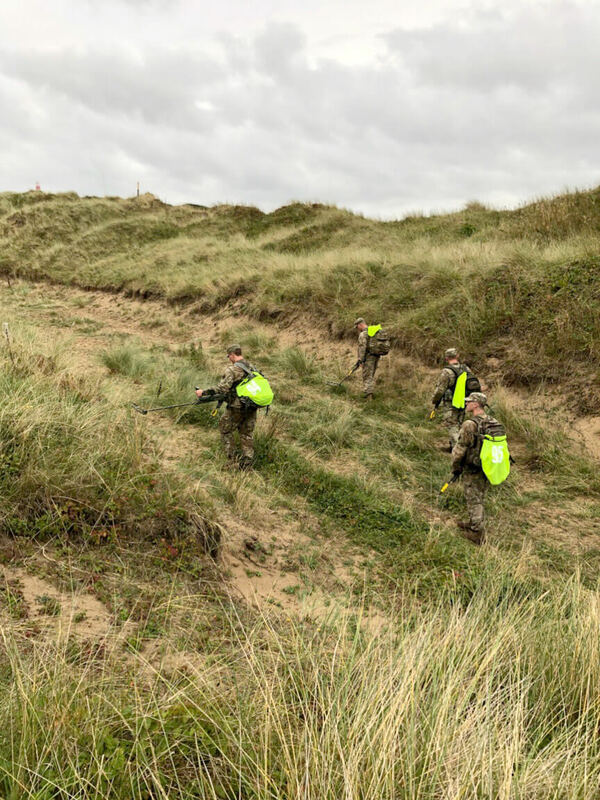 With 18 teams and participants hailing from France, Denmark, The Netherlands, Poland, the United Kingdom and the United States, the competition tested soldiers’ skills in multiple events, including dismounted close-quarter combat, land navigation, obstacle courses and casualty evacuation. SGM Tiffie served as a coordinator for the 45th during the competition. COL Chomosh noted that in addition to being a forum for building relationships with allied soldiers, the competition was also an important opportunity to build interoperability. “Everyone lived in the same barracks. Soldiers were telling jokes and trading patches. 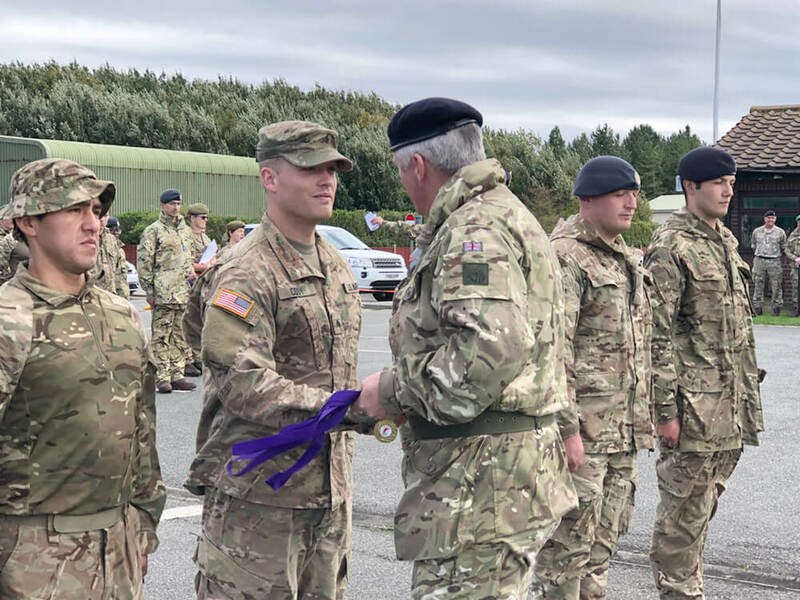 At the end of the day, it was a great chance to work with our allies to build interoperability, friendship and comradery before we are in a deployed environment,” he remarked. The Oklahoma team members met for the first time just before the competition, leaving them little time to prepare as a unified group. Then SGT, now SSG Cody, acted as team leader during the competition. He said he felt his team members’ individual preparations helped speed their cohesion when working as a team. Participants were given only one day to familiarize themselves with the lanes before beginning the challenge. Despite going into the competition with little knowledge of what to expect, and not knowing their teammates, the Oklahoma Guard team excelled in the challenging and competitive environment. The competition gave participants opportunities to work with and learn from their allied partners. During the competition, the Oklahoma team was paired with other foreign teams in order to complete certain challenges. 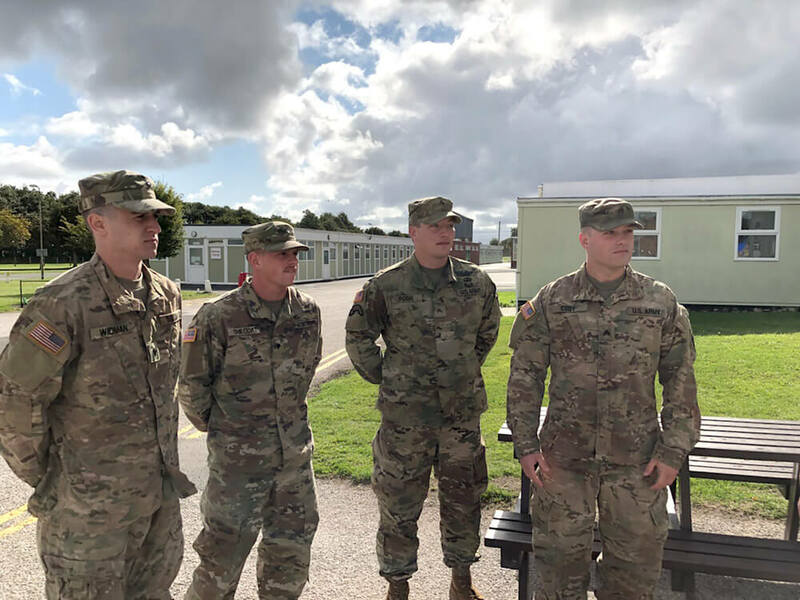 SSG Cody noted an event conducted with Lithuanian soldiers that he felt exemplified his team’s ability to work well with their foreign counterparts. The various events left the Oklahoma Soldiers with plenty of useful techniques and lessons-learned to apply to future missions. The British Royal Navy ran teams through sea training and sea survival courses. As the Oklahoma Soldiers had never done that type of training before, it was a new and exciting learning experience. SSG Cody went on to comment on how the competition demonstrated the importance of adaptability in being successful in any mission. The team’s adaptability and dedication paid off as they were one of four teams to earn gold in the competition.